When it comes to Forex, the currencies which are the subject of the traders are quoted as pairs. When a trader compares the US Dollar with the Euro, the currency pair is quotes as EUR/USD. When we’re talking about currency pairs, we’re talking about currencies which go against one another. A pair of currencies will contain the base currency and the quote currency. The quote currency is the one that is first named, while the base currency is the second one. The forex quotes which are associated with a currency pair will tell you how much a currency is worth in relation to another. For a EUR/USD quote of 1.35, you can buy 1.35 US Dollars for 1 Euro. The Forex trading major pairs are four in total and they are known as the majors. These major pairs are the ones which are traded the most and they are most liquid. This is the currency pair which is most traded on the market and it’s a very liquid pair. 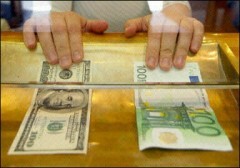 Trading Euro for US Dollars and US Dollars for Euro constitutes for a large share of the market. The majority of the traders which get started with Forex will use this currency pair as a starting point and will begin to learn about other pairs later. It has an average pip range of 100. This is the currency pair with the USD and the GBP (the US Dollar and the British Pound). It’s another major pair of currencies and a pretty volatile one. Traders that are just starting out should avoid trading it until they’ve learned more about Forex. The average PIP range is 150. This currency pair is formed by the US Dollar and the Swiss Franc (USD to CHF). If you want to gauge the USD strength visually, you can look at this pair to give you an idea. The average PIP is 100. This currency pair is constituted by the Japanese Yen and the US Dollar (JPY and USD). The trade of this pair will sometimes go in the other direction than the rest of the dollar pairs. There are period when this pair is very volatile. The pip range of this pair is 100. When you’re getting started with Forex you can trade by using a lot of currency pairs, but as a beginner the easiest is to use these major pairs and learn about the others in time. The term PIP means Percentage in Point and it’s one hundredth of 1 percent, so one pip is .0001. When it comes to Forex and the quotes of currencies, the quote will go up to the fourth decimal. One example is the price of the EUR to USD pair, which when it goes from 1.3320 to 1.3340 means that it will move by 20 pips. The increase in value by 1 cent means that the increase is of 100 pips. The Euro is a new currency, traded since 1999, but one of the most popular in the world. The liquidity is very high for it and it’s usually influenced by interest rates. The UK is a huge economy and its currency is one of the most important when it comes to Forex trades. It’s influenced a bit by prices of oil and energy. When a crisis comes, the Swiss Franc is one of the safer choices. A large part of the global capital goes through the banks of this country, so the news related to the global finance system are the ones that influence its value. The Japanese Yen is influenced by the countries of East Asia and their problems. The Canadian Dollar usually goes in the same direction as the US Dollar, since the United States gets a lot of exports from Canada. The prices of commodities will influence the New Zealand Dollar. There is a direct link between the Australian dollar and the dollar from New Zealand. This currency is used a lot together with the prices of gold. The changes in interest rates should be tracked, since they can influence trends in the long run.